If you’re looking to put an unusual twist on your next event, the Wildlife Photographer of the Year exhibition at the Natural History Museum could be just the thing. The 52nd annual Wildlife Photographer of the Year exhibition has just opened within a brand new gallery at the Natural History Museum, creating brand new venue hire opportunities for event organisers. This year, you can combine your event with a private viewing of the world renowned nature photography exhibition, with private hire of Waterhouse Way for a formal dinner or drinks reception. 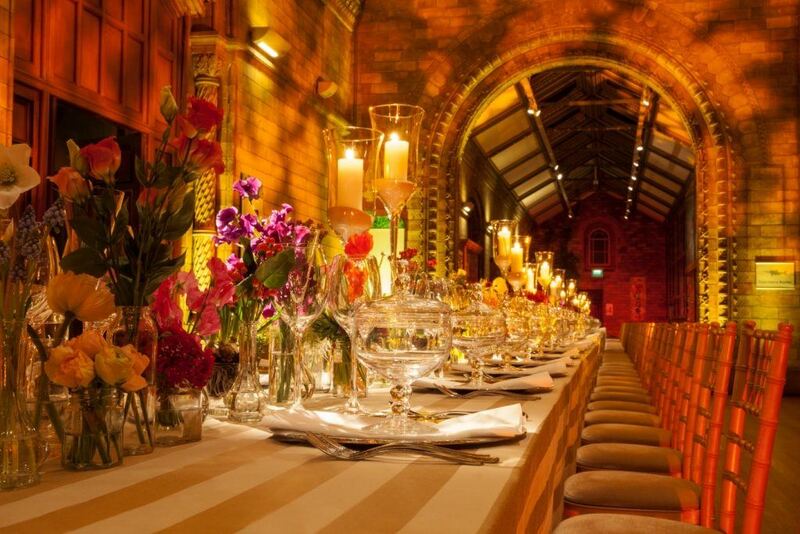 This space is a great choice for dinner and drinks receptions, with its striking architectural features including the same Romanesque soaring arches associated with the museum’s famous Hintze Hall (which is undergoing restoration work in 2017). Guests will also get to see fossils of prehistoric sea animals, housed within the space. The venue can accommodate 50-200 guests for dinner and between 100-400 guests for standing receptions. Guests can begin their evening with a welcome drink in Waterhouse Way, explore the gallery and this year’s mesmerising wildlife photographs, then return to the event space. There are so many elements for guests to discover in Waterhouse Way, including one of the museum’s most popular animals: the Giant Sloth, which has to be seen to be believed. With so much choice from the museum’s team of accredited suppliers every event set up can also be truly unique. The Wildlife Photographer of the Year Exhibition is open until 10th September 2017. Contact us to find out more about hosting your event at this venue.